Had one of my best commutes of the year today. I’m lucky enough to have a MTB and used it to ride down through Ladywell Fields off the paths. The snow was the deepest we’ve had for nearly ten years and I made the most of it. In fact, I left an hour early and just rode up and down those little hills in Ladywell Fields as many times as I could. Skidding and sliding and laughing my head off. However, back on the roads and cycle paths, cycling in an urban environment can be pretty dangerous. Once the snow is packed down by car wheels on the roads, or many other bike riders on cycle tracks, often the top layer melts and refreezes. Then it becomes very dangerous, with an icy layer lurking unseen, even on an MTB. Snow often melts and then refreezes overnight, becoming the treacherous black ice, indistinguishable from black tarmac, until you find your wheels sliding from under you. Major roads are gritted for this reason, to keep the traffic flowing and the drivers safe. Pedestrians and cyclists are often not so fortunate. Many pavements and cycle tracks are left untreated and the consequences can be serious. 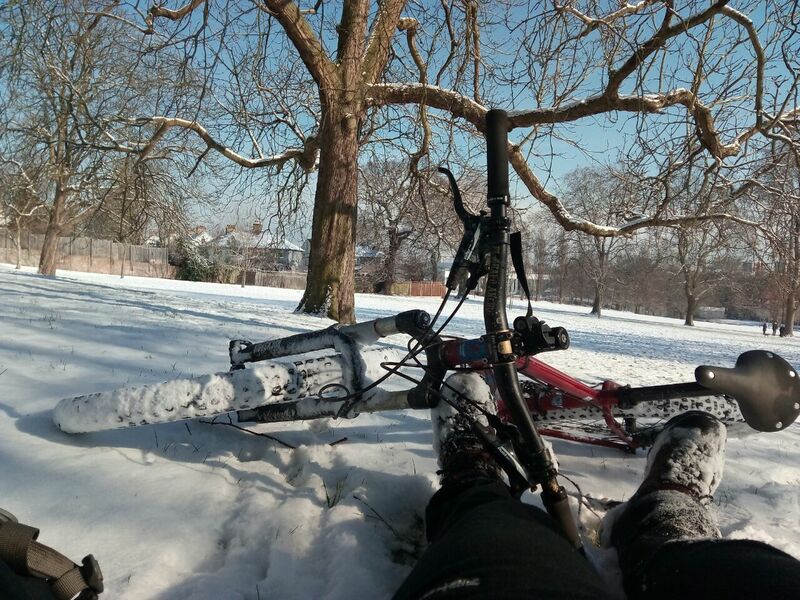 Lewisham Cyclists has already heard of some riders slipping on untreated cyclepaths and sustaining injuries. Therefore we’ve sent Lewisham Highways an email with a list of those routes we believe are busy and important enough to warrant treating, in the same way major roads are treated. You can read it below this article. Aswe say in the email, the list is not exhaustive. If you have routes you think should be included, email us about them. During the last bout of icy weather, earlier in the year, we received information about a number of riders who had falls on ice on some of the major cycle routes in the area. We have been informed that there is no programme for gritting cycle routes. We believe, given that there are some very highly used routes in the borough that this is not acceptable and that in order to exercise due care for the safety of those using the boroughs highways that at the very least, the most used routes should be gritted. We do recall the section of LCN 22 which crosses the railway bridge into Southwark from Eddystone Rd in Crofton Park, being gritted in the past, so highways department does have the means to do this job. We would suggest several key routes for gritting. 2. Waterlink Way. The bridges, metal grids and stone setts are especially dangerous if icy. 3. LCN 22. Steep sections in Ladywell Fields especially dangerous. The Eddystone road shared bridge. Sevenoaks Rd and Ewhurst link prone to puddling, so at serious risk of icing up in cold weather. This list is not exhaustive. However, it includes some of the key routes and busiest cycle tracks in the borough. If this much needed and necessary work cannot be carried out, could we be informed of the reasons. Best Wishes, Jane Davis Lewisham Cyclists Coordinator. And then came the reply! Thank you for your enquiry concerning winter gritting the Quietway cycle routes. During the winter months the Council grits the main roads in the borough when snow or ice is forecast. This is done using pre-determined agreed primary and secondary gritting routes. These routes cover all the main roads (except the Red Routes which are the responsibility of Transport for London and are gritted by them), shopping centres, roads with steep gradients and bus routes. heavily used areas, such as schools, railway stations, hospitals and medical centres, footways designated as “safe route to school” and other locations with specific access problems. When a resident report problems on a particular road which are not included on the above gritting routes, we prioritise these and carry out gritting when resources are available. You can request that your road is gritted at https://www.lewisham.gov.uk/myservices/transport/roads-and-pavements/Pages/gritting-in-icy-weather.aspx and you can view the main gritting routes at https://www.lewisham.gov.uk/myservices/transport/roads-and-pavements/Pages/Road-gritting-map.aspx. We do not grit the cycle Quietways except at points where they intersect with the gritting routes. These routes use small side roads and parks and it would be extremely difficult to ensure that they would be gritted. Only limited types of vehicles can access some of these roads and most gritters are too large. In addition for salting roads to be effective it is necessary for traffic to work the salt over the road surface. In roads which are part of the Quietway there would be insufficient traffic movements to render the salt/grit effective. 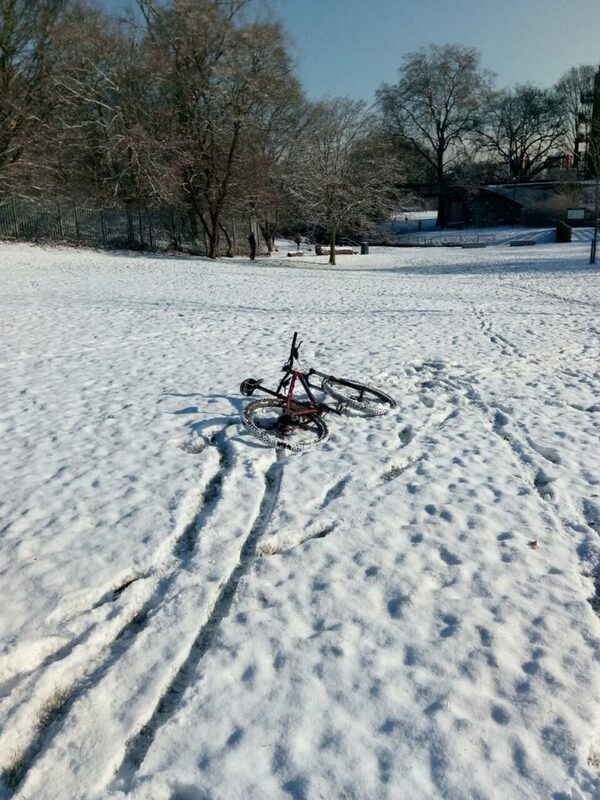 We would recommend that in periods of snow and in icy conditions that cyclist consider alternative means of transport.